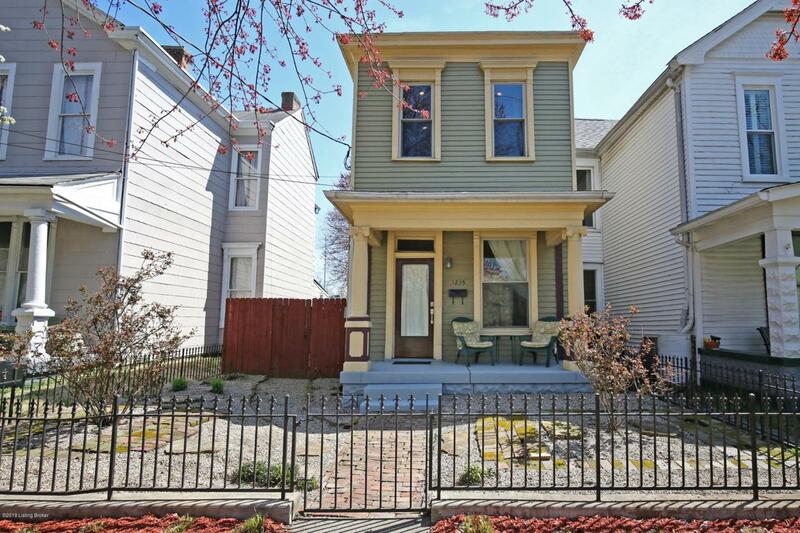 Charming Old Louisville, 3 BR & 2 Full Bath home with easy freeway access and off-street parking! This home has old world charm with updated amenities though out. Just a few features of this home are a tank less water heater, working gas fire place, dual pane windows and central Heating/AC. Covered front porch was recently painted, leading you into the Living Room, which is suited nicely for use as a Dining Room. Beautiful Hardwood floors carry on through the home, next you will find a good sized Family Room with access to a great brick patio, perfect for a BBQ or entertaining. Off the Family room is an updated kitchen with stainless steel appliances and good cabinet space. Continue to the back of the home to a Bedroom with it's own access to a full Bath.A utility/laundry room complete the first floor. The 2nd floor features 2 good sized Bedrooms again with that old world charm. The Master is large with a spacious walk in closet and master bath. The back yard is a great size with a privacy fence and little to no maintenance. Outside the back gate you will find ample off-street parking.